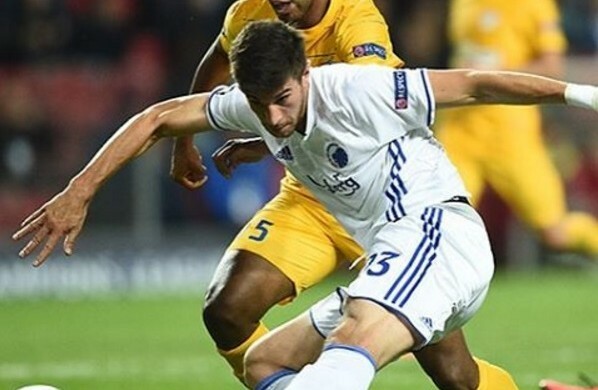 FC Copenhagen took another step towards football’s promised land last night by beating APOEL 1-0 at the Telia Parken Stadium in the first leg of their Champions League playoff. The Lions dominated proceedings throughout, but only managed the one goal through Andrija Pavlovic’s well-taken strike just before half-time. “I am very pleased with the game,” said FCK coach Ståle Solbakken. The Danes have been here before, and last time it didn’t go so well. In 2009, FCK likewise won 1-0 at home against APOEL, but lost 3-1 in Cyprus. And since then APOEL’s home ground has become a bit of a graveyard for Danish football dreams, with both FC Midtjylland (in 2015) and AaB Aalborg (in 2014) crashing out there recently. The second leg will take place next week on Wednesday August 24.